Well, obviously we need to get this one out of the way. When the first one opened a couple years back, many eyebrows were raised about its extremely simple concept (the name IS the menu), and their less than ideal reservation policy (ie: none), however they have thrived, with six here in London, plus one in Cardiff and soon one in NYC. 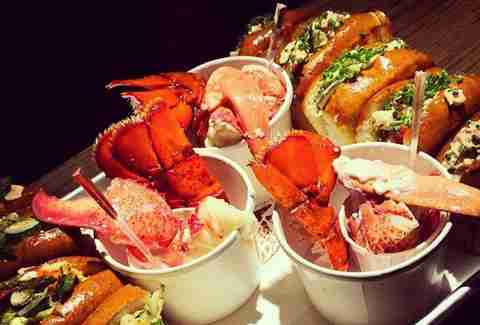 For £20 you get a burger, lobster, or lobster roll, and all three are delicious. 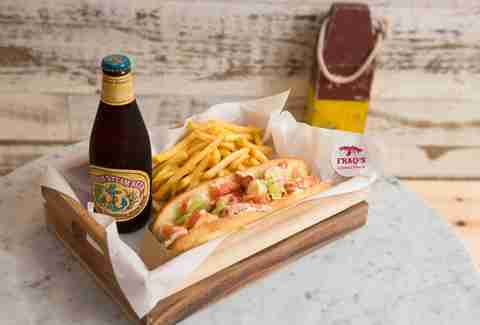 From thirid-generation restauranteur brothers, Fraq's aims for a New England feel, with distressed paint and food served on little wooden trays, and simple menu options of Maine lobster rolls, prawn rolls, or their calamari roll, with some craft US beers to help it all down. A self-proclaimed “naughty little sister” to the Burger & Lobster restaurants, Smack Deli is all about the rolls, boasting five types, from the California w/ cucumber, avocado, and lime, to the Mexican with smoked chipotle & jalapeños. 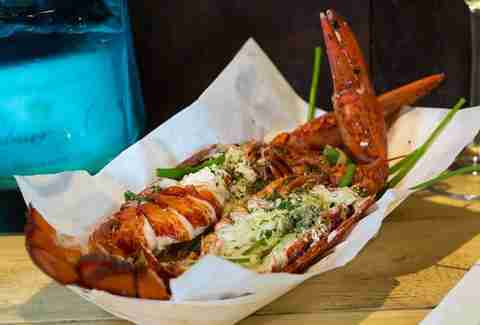 Oh, and they have cold, prepped whole lobsters if you're into that instead. Serving out of an old, red VW Bus, these guys are technically on a slight hiatus, but seasons saw them as regulars at Street Feast and Borough Market. With some killer lobster rolls, plus a few other seafood treats like oysters, lobster bisque, and ahi tuna tacos, prepare to track them down as soon as they pop back up. Only a month or so in, it’s still the very early days for Lobster Kitchen, but it feels like they went the other end of the spectrum from B&L. 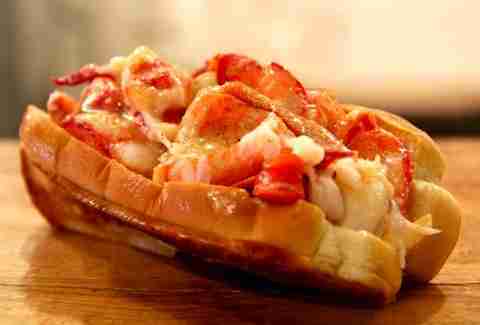 Using lobster almost always as a base, they’ve got a myriad of ways to consume your fat-tailed prey. 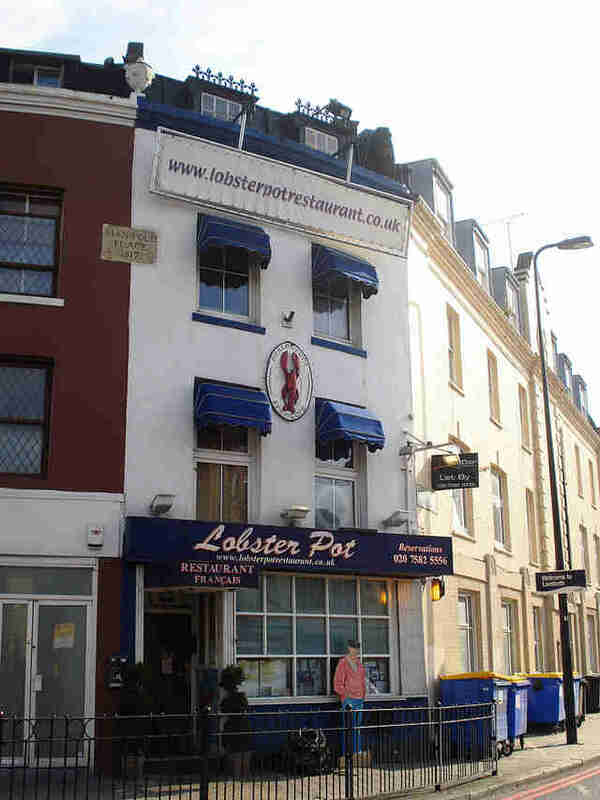 With four different styles of rolls, five styles for just tails, lobster salad, lobster mac ’n’ cheese, and a whole lobster, plus other bits and bobs, if you’re looking for choice, this is the spot. This small, family shop in Kennington has been quietly been doing its thing for nearly a quarter century, long before the city went cray-cray for lobster. 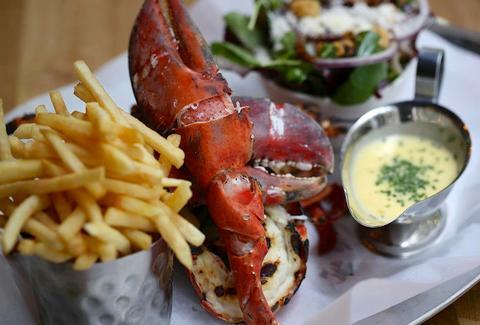 With a kitschy nautical thing going on, complete with fake seagulls and sea shanties on loop on the overhead, their menu is pretty extensive, but the obvious winner here is their lobster, which they pick up daily at Billingsgate. You can get a whole one, or even throw an extra half of one on anything else you fancy. 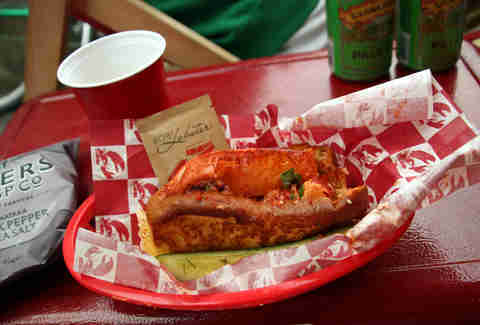 Only open on Fridays and Saturdays, from 6:30pm-2am, this pop-up takes the meat and shellfish thing up a few notches. 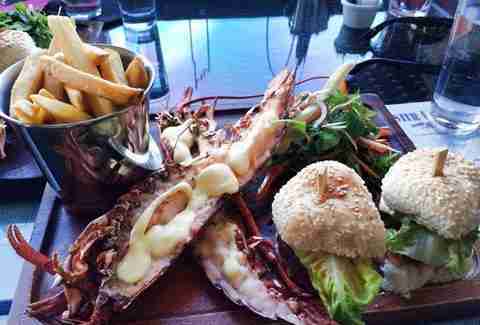 Sitting on the 28th floor of the Millbank Tower, you can be floored by the stunning view while throwing back dishes like the Double Clammy, with a whole lobster, two sliders, and fries, and wash it all down with one of their frozen cocktails. They like to keep things simple over here. 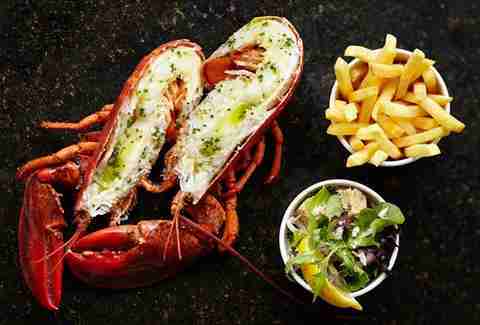 With literally two options -- a 10oz ribeye steak or a whole lobster for £20 and unlimited fries and salad -- they take the fuss out of ordering. The decor is a touch on the corporate side, but you’re there for the lobster, not the wallpaper.